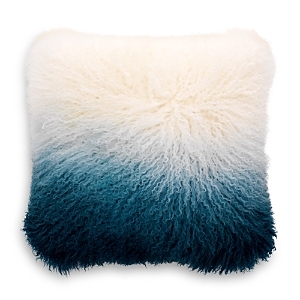 Lavish pillows and throws from Italian fashion houses Etro and Fendi Casa. 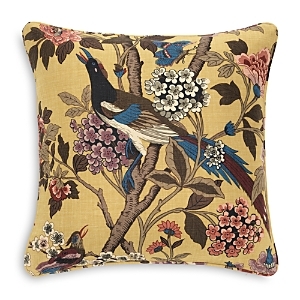 Jacquard pillow in assorted butterfly pattern. 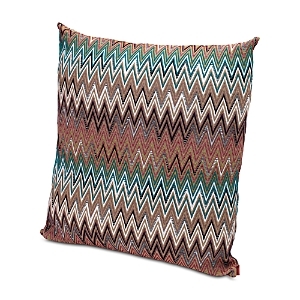 Textured pillow in multicolored stripe pattern. 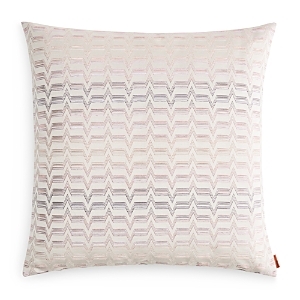 Zigzag jacquard pillow. Jacquard pillow in poppies pattern. 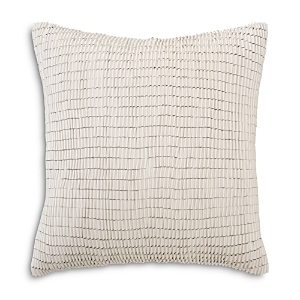 Zigzag pattern pillow with bouclé texture. 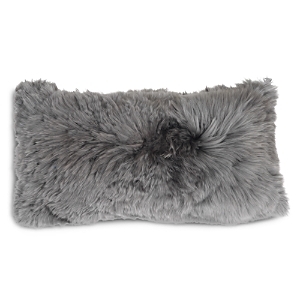 Velvety corduroy texture pillow with wide stripes Jacquard pillow in poppies fil coupe. 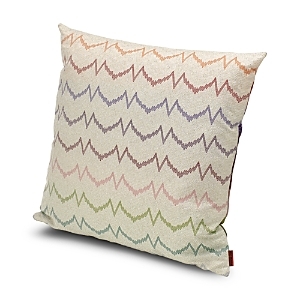 Pillow with multicolored stripe pattern. 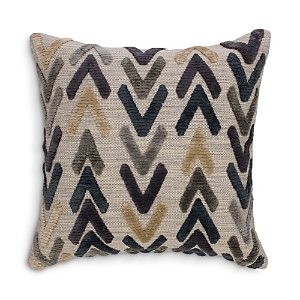 Double-face jacquard pillow with chevron design. Pillow with floral design. 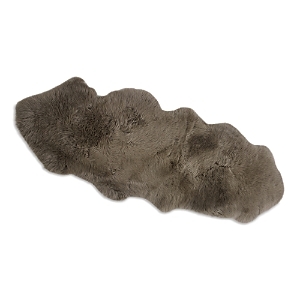 Suitable for indoor and outdoor living. 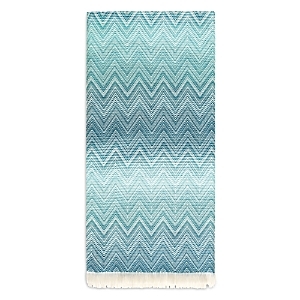 Multicolor chevron pattern throw. Fringe trim at ends. 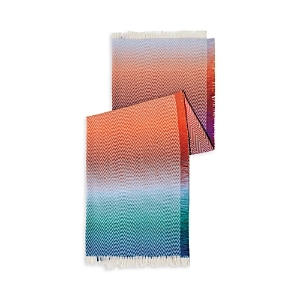 Intricate weave throw of sophisticated colors in a chevron pattern. Fringe trim at ends. Patchwork pillow. 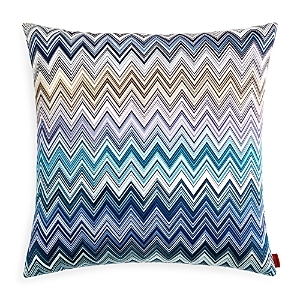 Ombré chevron pillow. Striped patchwork pillow. Pillow featuring whimsical butterfly jacquard weave. 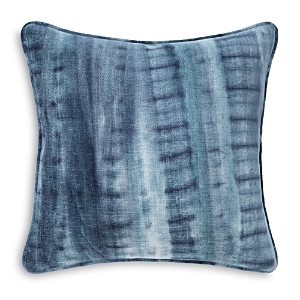 Pillow in abstract chevron pattern. 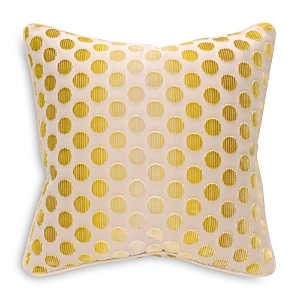 Pillow in two-tone segmented diamond pattern. 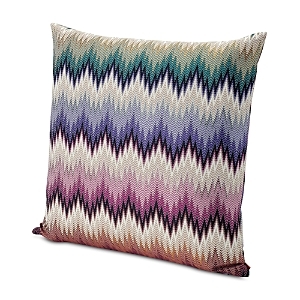 Woven in Italy, these Missoni throws display intriguing patterns in rich, earthy palettes Tsavo pillow, 24"Sq. Floral cotton. Feather fill. 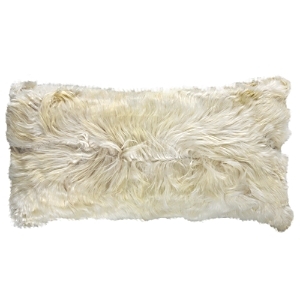 Togo pillow, 16"Sq. Cotton/linen with zigzag pattern. Feather fill. 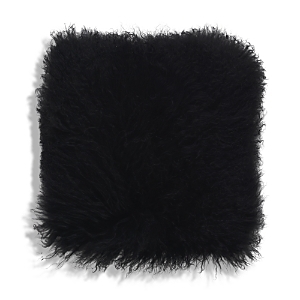 Tunisi pillow, 24"Sq. Striped viscose. Feather fill. 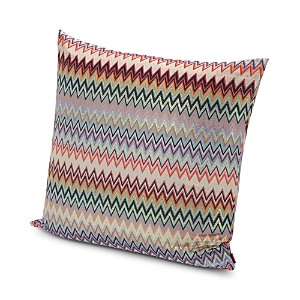 Missoni Welkom Pillow Missoni Home Multicolor Pillow Collection Missoni Home Oroscopo Ricamato Pillow, 16"Sq. 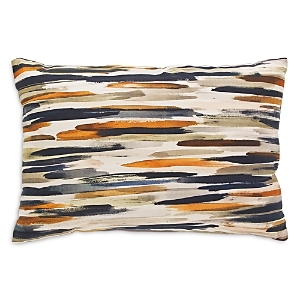 Multi-stripe pillow. Suitable for indoor and outdoor living. 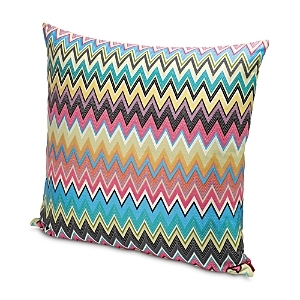 Pillow in multicolored chevron pattern. 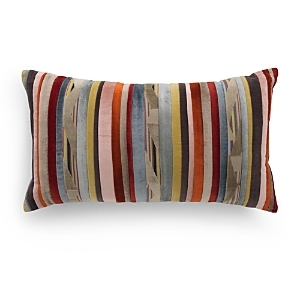 Pillow in multicolored stripe pattern. 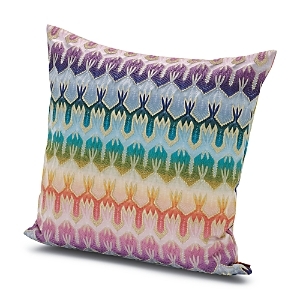 Pillow in multicolored chevron pattern. Intricate machine embroidered pillow. Tassel corners. 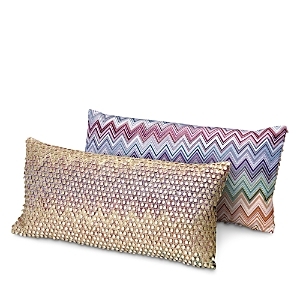 Missoni Home Multi Color Pillow Collection Missoni Home Celebrating Cities Pillows Missoni Home Strasburgo Pillow, 24"Sq. 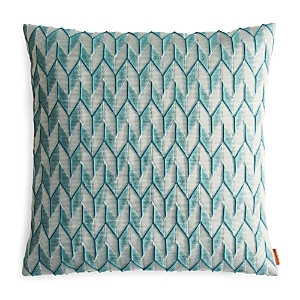 Pillow with reversible jacquard zigzag fabric. Pillow in reversible jacquard. Pillow in digital-print crochet pattern. 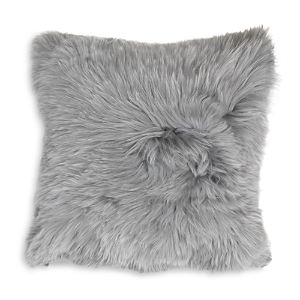 Decorative pillows sold individually. 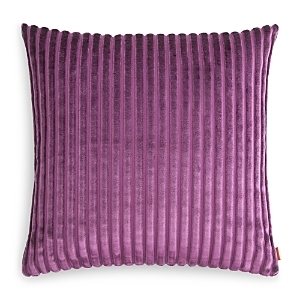 Santiago viscose/polyester velvet jacquard pillow (shown in front), 24" x 12". Floral embroidered cotton sateen Sierre Sausalito pillow (shown in middle) reverses to polyester metallic zigzag jacquard. 16"Sq. 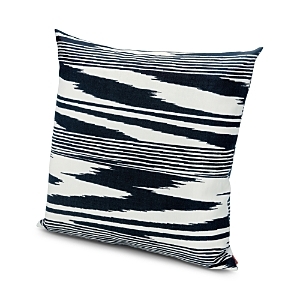 Reversible Santa Fe Seattle pillow (shown in back) has polyester/silk front; polyester back. 24"Sq. Feather fill. 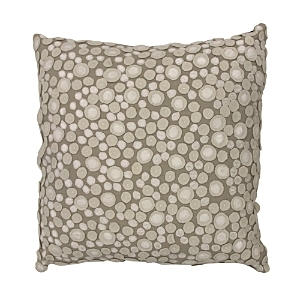 Made in Italy Straburgo pillow covered in polyester jacquard. Feather/down filler. Made in Italy. 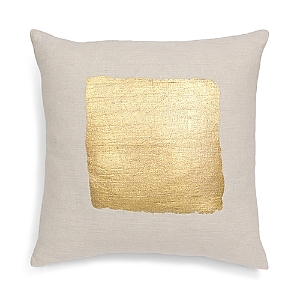 This pillow from Mitchell Gold + Bob Williams features a rich mosaic of soothing tonal colors in an appliqué pattern on a linen ground for a serene look that blends effortlessly with a variety of interiors. 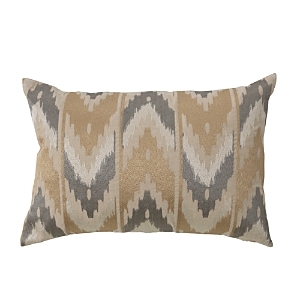 Gold, silver and gray tones are set in a classic chevron pattern on the front that perfectly contrasts with the solid beige back of this down-filled pillow from Mitchell Gold + Bob Williams. 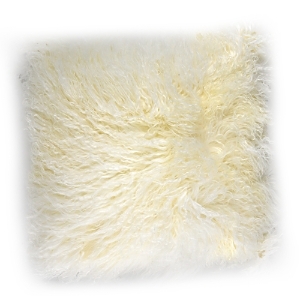 Add gorgeous natural texture and warmth to any room with this natural sheepskin throw from Mitchell Gold + Bob Williams.